Why Choose Bennett Orthopedics and Sportsmedicine? The doctor-patient relationship is sacred, and should not be influenced by insurance companies, employers of physicians, or other third parties. All patients deserve an honest, thorough, unbiased evaluation and explanation of all their treatment options. Patients who make an appointment to see Dr. Bennett, a board-certified orthopedic surgeon, will see Dr. Bennett—not a student-doctor or non-physician staff member. 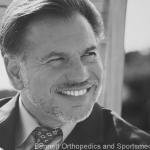 As sole owner of Bennett Orthopedics and Sportsmedicine, Dr. Bennett is not an employee of a hospital or large group. He has no surgical quotas to meet. As an independent surgeon, Dr. Bennett is free of outside pressures or influences, and will always recommend what he believes is best for his patients, taking into account their unique lifestyle and personal goals. Dr. Bennett has privileges at 3 different, competing area hospitals, as well as 3 outpatient surgery centers. This allows him to find competitive pricing for his patients, accommodate their insurance, or their personal preferences.